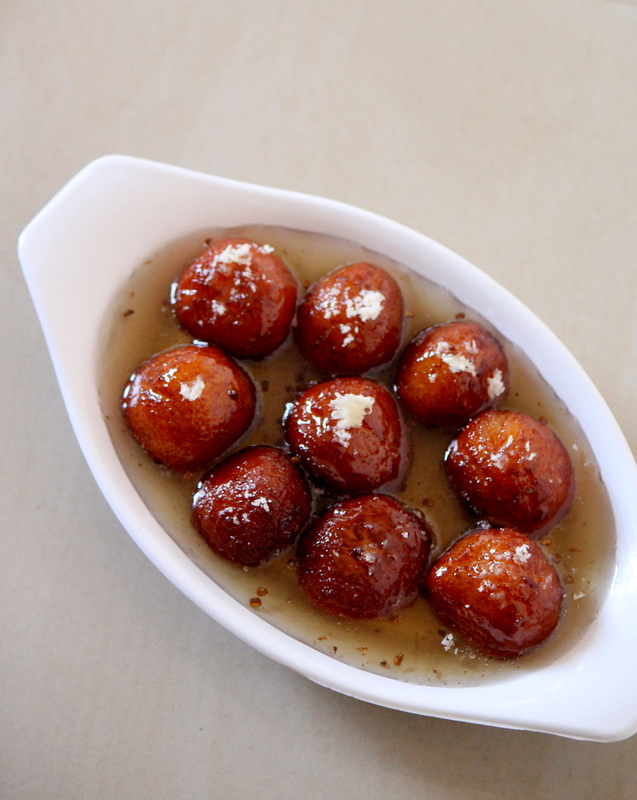 Bread Gulab Jamun recipe is yet another instant recipe made using bread and it is a sweet recipe called as bread gulab jamun. The bread gulab jamun can be tried in various ways and here I shall be showing a very easy and quick gulab jamun made using leftover bread. 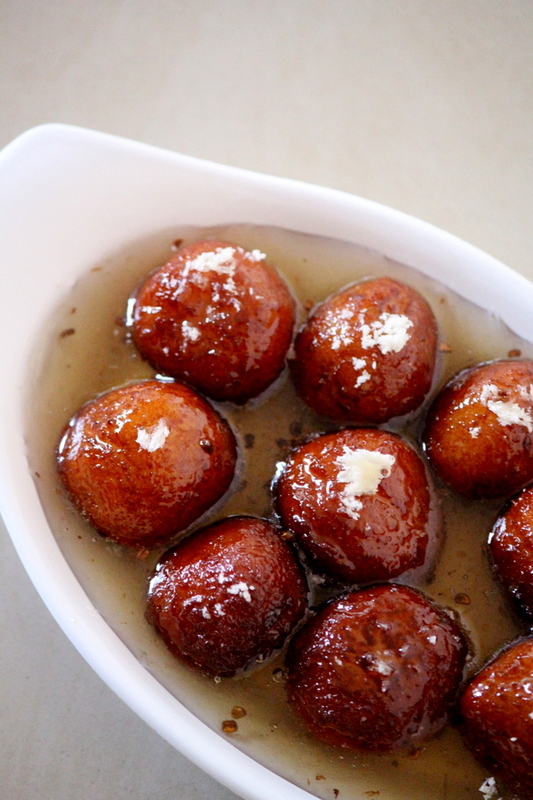 Bread Gulab Jamun recipe is an instant gulab jamun recipe and gulab jamun can be made using different ingredients like milk powder, khoya or using instant mix but, here it is made using bread which tastes delicious and amazing. The bread can be used to make various unique recipes like upma or cutlets or tikkis or it can be used in dessert recipes. It is an amazing ingredient to make various yummy delicacies and recipes made using bread do not take long time and they can be made quickly. In this recipe I have removed the corners of the bread and used the white part of the bread and made them into crumbs before making their balls using milk. I have also shared the video procedure of bread gulab jamun which helps us out in understanding the recipe quite well. Gulab jamun making is quite a task if we use khoya or any other ingredient like paneer as they tend to break while frying if the ingredients added aren’t in proportion but bread gulab jamuns do not break and taste delicious. A dessert/sweet recipe made using bread and milk balls, deep fried and dipped in sugar syrup. Firstly, in a sauce pan, add sugar, water and bring it to a boil. Into it add cardamom powder and boil the syrup on medium flame until it turns sticky/syrupy. Rest it aside once the syrup is done. Take the bread slices, remove its corners. Blend the white part to make bread crumbs. Into the bread crumbs add milk gradually and knead it to make a dough. Take small portions of the dough and make round balls. Take a wok, add oil for deep frying and heat the oil. Drop the gulab jamuns into it and deep fry them until they turn golden brown. Take the gulab jamuns out and immediately dip them into the sugar syrup. 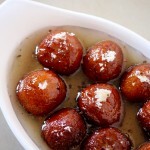 Cook the dipped gulab jamuns for a minute or two/ rest the balls into the syrup until they absorb the syrup. They are ready to be served immediately or they can be stored in refrigerator for a while before having them. Here I have made bread crumbs and made the dough by adding milk and kneading but instead of doing that another easy way would be to dip the bread into milk, squeezing it and making a round ball and frying them and dipping into the syrup. Drooling. Love this version of jamun. YUMMY!